ENEX welcomes back Stod2 Iceland as a partner in the news alliance. Luxembourg, April 2018: ENEX is welcoming back an Icelandic partner to the news alliance. 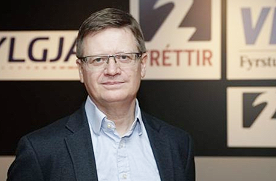 Channel 2 (Stod 2) Iceland is part of Syn, the parent company of Vodafone Iceland, which operates several radio and television stations and one of Iceland’s main digital news sites, visir.is. Iceland returns in time to benefit and participate from our special World Cup plans, where Iceland will face off against other ENEX partner countries, Argentina and Croatia in Group D of the competition. A special exchange pool is being set up to pair ENEX partners with their opponents so video and information can be shared.